This week’s top 5 is a little less article heavy, there’s a video and a picture this time! Granted I pulled this from Upworthy but I have watched and read numerous pieces that attempt to articulate what it is like to be a woman dealing with others throughout the day. Some reverse rolls and put men in a women’s positions and they have to deal with being intimidated by a group of women, others give startling statistics concerning sexual violence. This one is shot from the perspective of the viewer. It’s your eyes seeing the world as she does. As a woman and someone who has done significant amount of research on violence against women in the public sphere, this gets really right. It was produced for Egypt and is shown from that perspective but is applicable to a lot of women’s experiences. 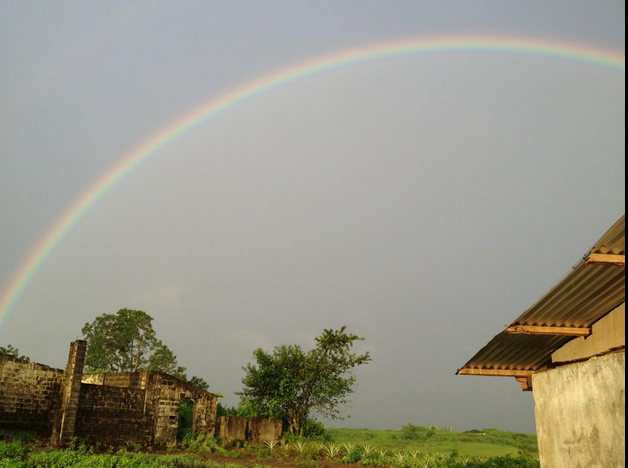 It was done in conjunction with Safe Cities a project through UN Women. Sexual harassment and other forms of sexual violence in public spaces are an everyday occurrence for women and girls around the world—in urban and rural areas, in developed and developing countries.This reality reduces women’s and girls’ freedom of movement. It reduces their ability to participate in school, work and in public life. It limits their access to essential services, and enjoyment of cultural and recreational opportunities. It also negatively impacts their health and well-being. Cairo is one of the sites where UN Women’s Safe Cities Global Initiative, UN-Habitat and 50 other global and local partners, “Safe Cities Free of Violence against Women and Girls” in 2010. Early this week Ben Affleck, aka new Batman, testified to the US Senate Panel about the Democratic Republic of the Congo. While I want to write a whole thing on this issue, this is included this week because of the various reactions this elicited especially about his credibility and the role of celebrity. One of the harsher less substantive pieces attacked this NYT article written by Brooks Barnes, a media writer, by Africa is a Country called “Ben Affleck makes the DRC cool again.” Many comments called out the piece and the writer, noting the cynicism that seems to be fairly apparent throughout the blog. There are two additional articles I would like to draw your attention to. First is one was posted on Politico by the AP titled Ben Affleck casts spotlight on situation in the Congo. He joked about crashing congressional offices and the likely confusion over an actor slated to play Batman in the sequel to ‘Man of Steel.’‘What are you doing here, aren’t you supposed to be wearing a cape?’ Affleck said in an interview with The Associated Press, citing a typical comment. The star and director of last year’s best picture “Argo,” and the upcoming “Gone Girl” said he was taking the celebrity attention and using it to focus on an issue he cares deeply about — the Democratic Republic of the Congo. 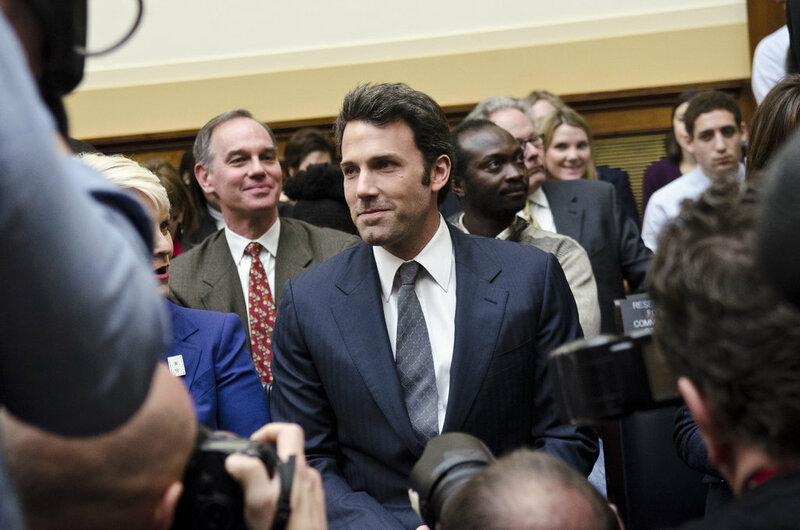 The second one was posted by John Hudson on Foreign Policy titled Mr. Affleck Goes to Washington — and Shines. Short and sweet, well maybe not so sweet. 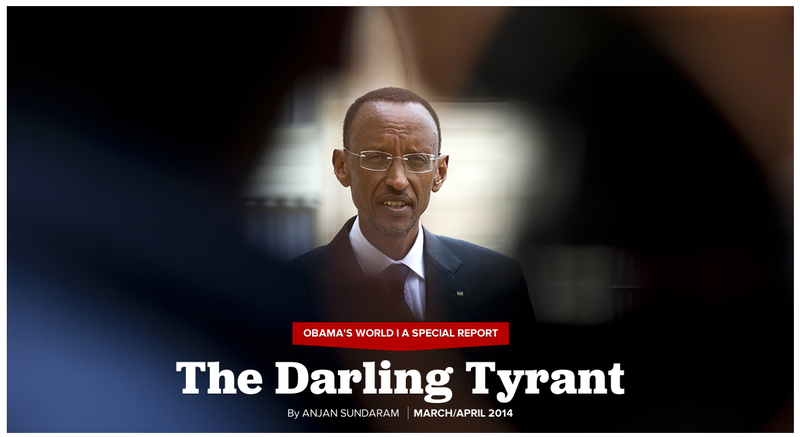 This article: ” The Darling Tyrant” by Anjan Sundaram on Politico Magazine. The following is an excerpt form the piece. Head over there to read the full article and find out what this is about exactly. Not only was the president justifying a murder—he was warning his critics that betraying Rwanda brings consequences. In fact, in Kagame’s 20 years as the de facto leader of the country, more than a dozen prominent dissidents have been assassinated, imprisoned, exiled and tortured. According to Human Rights Watch and Amnesty International, in recent years perhaps half a dozen well known investigators, journalists and opposition politicians have also been found dead in mysterious circumstances, including, six months ago, a Rwandan Transparency International worker who had been investigating police corruption. 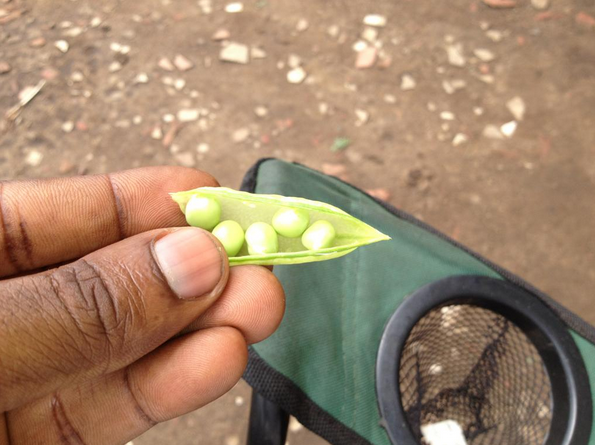 This is a story about “a foodie, farmer, ardent promoter of socially, and ecologically responsible agriculture for rural Liberia” William Tolbert, his urban farm Grain Coast Farms, and food security in Liberia. Photos are from Tolberts’ Twitter. The future of Grain Coast Farms is delicately poised upon a system of quality produce, community solidarity and fair market practices. As the farm turns to European customers to export okra in December, Tolbert is anxious to surprise the local food market with his organically grown onions, which he will sell at local prices. You can click on the Grain Coast Farms link to learn more about their practices and how the farm / CSA operates. *This hyperlink leads to the Facebook page where this all started and the link below is to the now official website. I follow HONY or Humans of New York pretty closely and in the middle of the week this photo was posted with the following excerpt. What was interesting about this post is that many of the comments centered on figuring out who in the photo was taking, the man or the woman. Opinions? For those of you that do not know HONY was started and is run by Brandon Stanton and there have been some awesome pieces about him lately. I started collecting quotes and short stories from the people I met, and began including these snippets alongside the photographs. Taken together, these portraits and captions became the subject of a vibrant blog. With nearly four million followers on social media, HONY now provides a worldwide audience with daily glimpses into the lives of strangers in New York City. It has also become a #1 NYT bestselling book.. It’s been quite a ride so far. Feel free to follow along.